Review of Self Journal (so Far) – Love. Life. Practice. It’s been a few weeks of working with the SELF Journal, and there have been some surprising results, so I thought I’d do a quick updated review. The journal’s design is wonderful. It’s a real pleasure to hold, the cloth cover maintains integrity in spite of taking it on several trips, and the thick pages are a pleasure to write on. It’s big enough to feel important but small enough to be conveniently stowed in a pocket or taken out on an airplane. The spaces for morning and evening gratitude are great ways to renew that particular practice, which had lapsed for me. The daily “My Goals” has indeed helped me both stay focused on my long term goals such as Passive Income but also provides room for identifying areas that need more focus, such as Don’t overwork yourself. 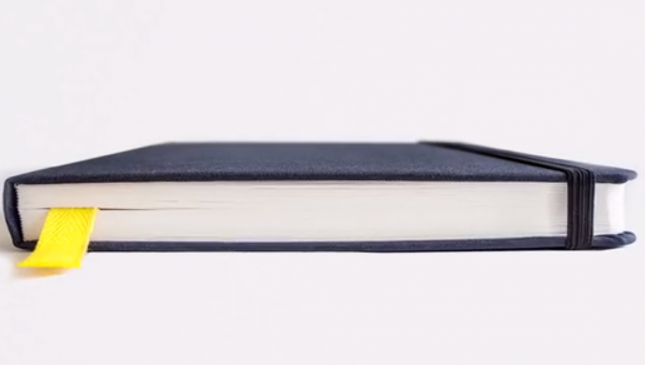 The simple act of pulling out the journal at the beginning and end of the day has become a nice “work is beginning/work is ending” ritual, and pulling it out during the day helps re-center and remind myself of what needs to be done. At the end of every week there is a review, and at the very top of that is a space for you to write down your habits you are cultivating and how many you actually accomplished.I find this pretty worthless, because I’m not going back and forth and tracking those habits in my daily time. I still fill it out because I do still use the Productive app for goal-tracking – but having this at the end of the week is just not intuitive for me. The three-month calendar pages at the beginning of the book are numbered but not arranged by weeks – which makes it very un-intuitive when you’re trying to work out schedules based on days of the week. I understand the choice, but I would have rather had to fill out the monthly numbers on a week grid than the other way around. Three weeks in, I have found that I need to take a break from my initial goal and focus on a different project until late February. I know that they set this up precisely so that you can do this – the daily pages are not dated the way the month pages are – but at the same time it feels difficult to do so. I don’t want to change tracks – which means that this journal is even more effective than I’d expected. The “Zero-Based Calendar” that I was totally convinced I would hate? Turns out I love it. I still don’t understand why…but there is a great pleasure to filling in the blocks with what I’m going to be doing at any given time. Maybe it’s because it’s a lot like Tetris. I haven’t found that there’s a lack of slack – rather, I’ve been better able to see where I need to schedule more time and where I need to give things up. Weekly Milestones: I totally forgot about them until writing this review. That’s a problem, in terms of making the system work, but it also is a nice reminder of how this is a great tool for personal development. In case the review doesn’t make it clear: I like this journal. I am likely to buy more when this one is full. Then again, I’m less than a month in…so tune in when April comes and I do a more full review! Do you use tools like the Self Journal? Or do you know someone who should? Please share this article with them and let me know what you think! Good review…it sounds like it hits all the main points, my main concern is the price and the empty notebooks/journals i already have lying around that i don’t use. But this was a good read and info, thanks! yeah, I did try it out with a regular (mid-size) notebook, writing in the lines and sections, before trying it out. It’s more time-consuming, but doable. Now that I’ve filled half the book, though, I’m almost certain to order another. Too convenient not to. Did you ever do the April update? Would love to hear your thoughts now that you’ve finished the full 3 months!